The latest news & articles on equipment & attachment hire. Celebrating the women who make SPH great! At Solution Plant Hire, we ensure dry hire is done right at every site, every time. 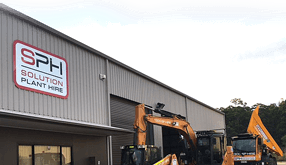 Solution Plant Hire makes dry hire simple, with the latest 100% compliant earthmoving equipment and attachments and with all the paperwork done for you before it arrives on site.